I have mostly enjoyed the "Alien" saga up to this point. I absolutely adore "Alien," that feels almost like a slasher movie in space, but with beautiful effects for its time. There is a little bit more fun to be had with "Aliens," which is a bit more of a man-on-a-mission movie. But I loved both movies for different reasons, and I loved that re-watching them now, they still feel very scary. I wasn't such a fan of "Alien 3" and "Alien 4." Now, I am one of those weirdos that actually liked "Prometheus." Please don't cast stones. Its a breathtakingly beautiful movie, and while there are some script problems, it certainly made you think, certainly challenged your brain a bit. That is what I loved most about it. 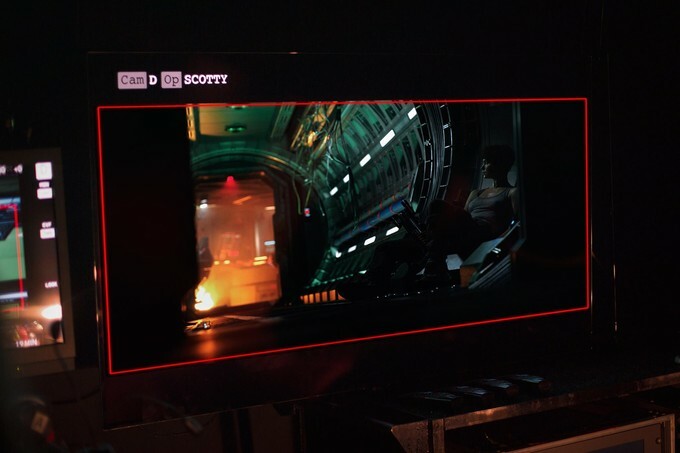 Soon, we will be getting "Alien:Covenant" and once again Ridley Scott will be in the director's chair. This franchise started with him and I love that he is breathing new life into this thing! The image above looks like it maybe coming from the ship that the movie will take place in. I love that it has a very old-school, 1970's style feel to it. I am hoping that this is another winner for Scott and that he continues to make these movies for the foreseeable future.